Country Inns & Suites is the breakfast inclusive brand part of Club Carlson group (which includes Radisson, Park Inn and Park Plaza hotels). 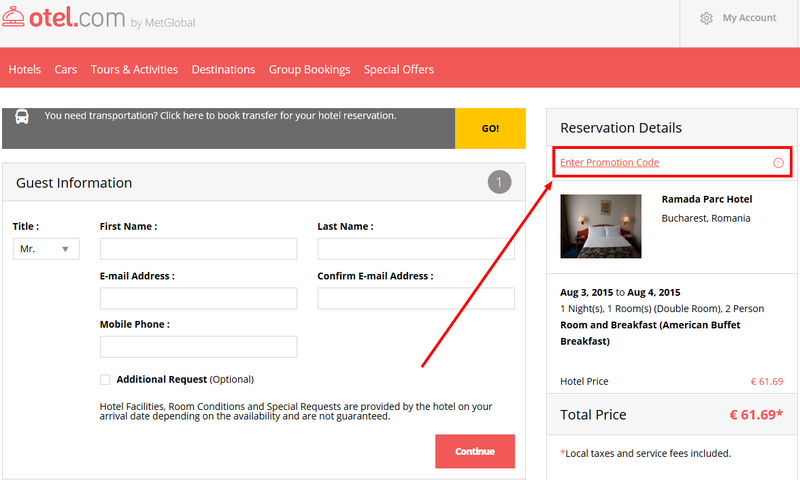 For stays of 2 nights or more which are booked using the group's official websites, you will get 10 000 Gold Points. The promotion is valid for Club Carlson members who register for the promotion. The deal is valid for stays until 7 September 2015. Agoda.com is an online booking site part of Priceline / Booking.com group. For bookings until 11 June 2015 they offer a 10% promo code valid for a selection of hotels. 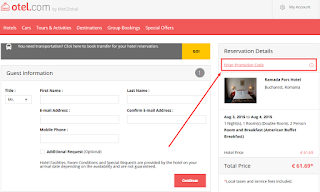 The participating hotels will be marked as "Coupon Eligible" in the search results. Once you've selected the desired room, at the bottom of the page where you input the traveler name and contact details, type the code "agoda800k" in the field "Promotion Code" and then push the button "Continue". Never book a hotel without checking also Otel.com previously. For bookings until 30 June 2015 they currently offer a 10% discount off all hotels (including big chain hotels).